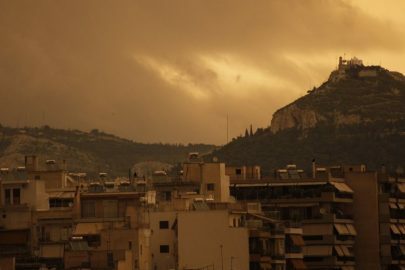 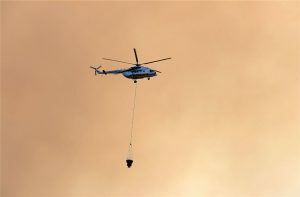 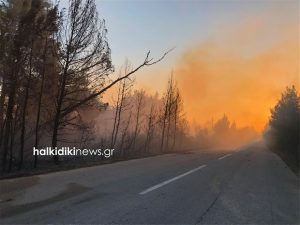 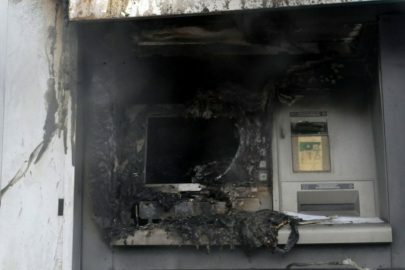 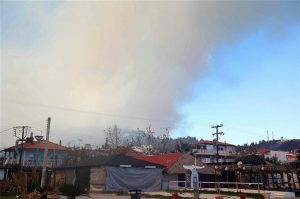 The Prefect of central Macedonia, Apostolos Tzitzikostas has declared Sarti in Chalkidiki in a state of emergency due to the raging flames. 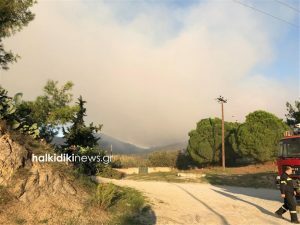 Earlier, residents on the coast of Achlada at the port of the Sarti settlement were evacuated for safety reasons. 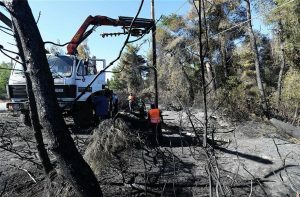 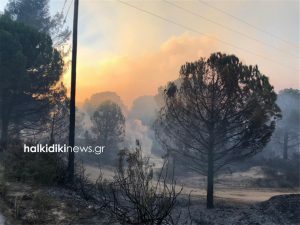 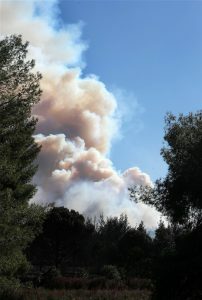 The fire continues to burn the pine-covered areas in Sithonia, Chalkidiki. 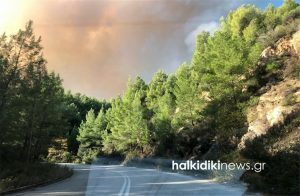 “We declare the Sarti region in Sithonia, Chalkidiki, in a state of emergency. 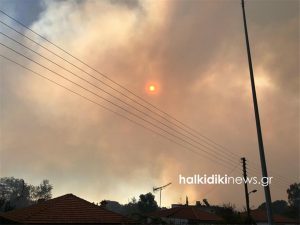 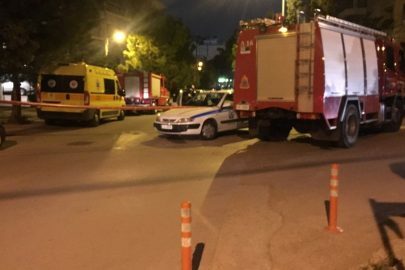 Extremely difficult conditions, superhuman efforts by firefighters,” said Mr. Tzitzikostas in a post on Facebook. 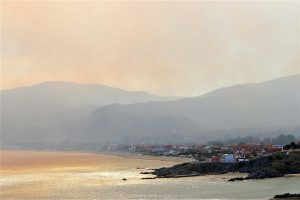 The efforts to extinguish the fires are being hampered by strong winds and the inaccessible nature of the terrain. 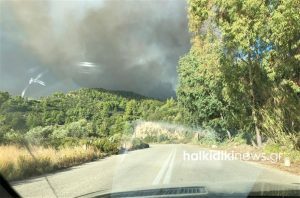 Vehicles on the provincial road connecting Sarti to Vourvourou, in the eastern part of Sithonia, has been diverted.